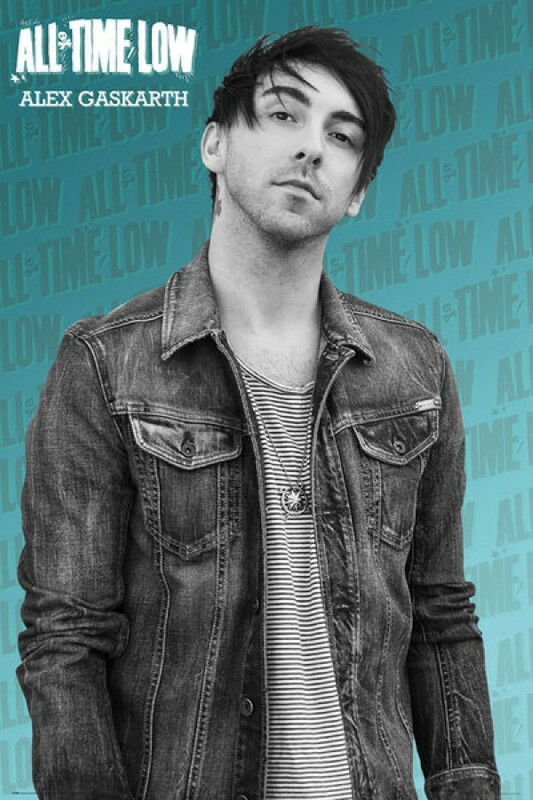 Music posters - All Time Low posters: All Time Low poster featuring Alex Gaskarth from the Baltimore pop-punk rockers. Alex sings lead vocals and plays rhythm guitar in the band and this poster sees him features him in black and white against a blue background. Official All Time Low poster.